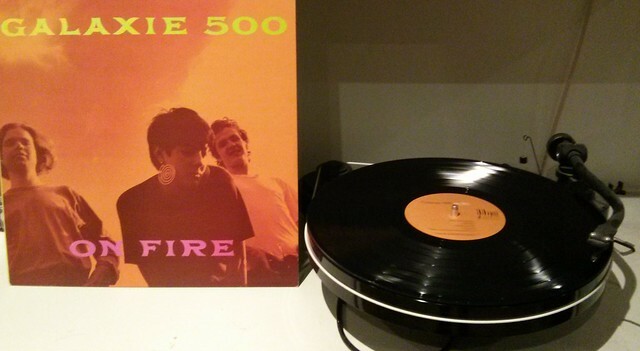 Today is the 25th anniversary of the release of Galaxie 500's masterpiece 2nd album On Fire. THEN there was The Great Chicago Fire. 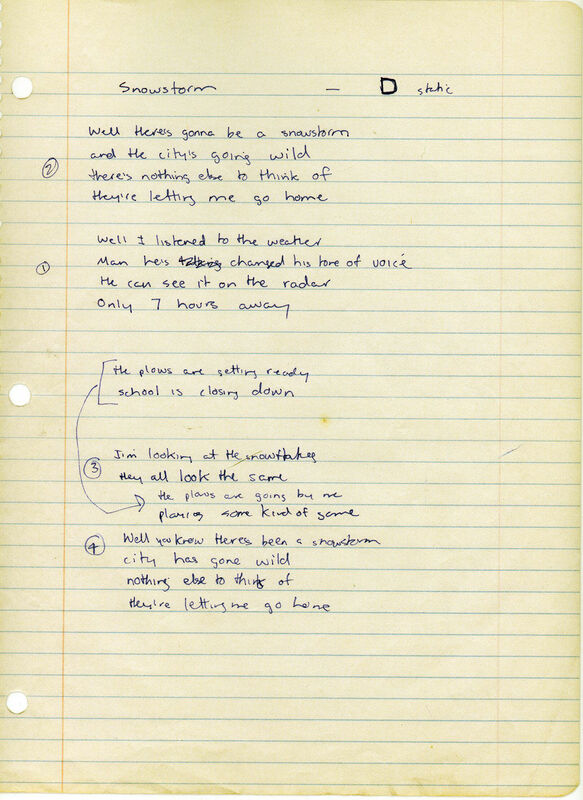 I was there. The stories of how the fire began were wildly contradictory, but I was there. Some people say the fire was started by a stampede of cows. Some say it was just one cow. Some tried to blame it all on someone they didn't like. One fella tried to blame it all on his own brother, just because his brother had stolen away his girlfriend and married her. The wedding took place in Las Vegas. It was a modest affair of about 150 guests, non-denominational (which really pissed off the parents of the bride, but hell, you can't please everybody). During the ceremony, some rotten little punks yelled "Fire! Fire!" and the whole place cleared out in no time. The maid of honor even broke her ankle in two places after being shoved down the altar by the always overly zealous justice of the peace. Well, the ankle was pretty back and the maid of honor had to be shot, and exactly one week later the entire block burned to the ground. Even the bricks burned. But at least nobody tried to blame it on a cow. And the wedding went ahead as planned. And some people actually believe that Nero fiddled as Rome burned, and that he really did look like a badly aging Peter Lorre. On Sunday nights we'd all gather 'round the television set to watch the Disney show, and I would always fall asleep from boredom. But I had a big old Siamese cat named Butch who'd always loved to play with my face moments after my head hit the pillow. So I'd awake startled, sometimes, crying, sometimes covered with blood and crying, staring into the idiot box. Sometimes I'd see Walt himself, sometimes Mickey or Goofy. But sometime I'd see a thousand bright blue caribou racing a dust storm to the finish line, neck and neck all the way like nature's own Indy 500! Flesh and blood against the elements! And I remember wondering to myself, "Why are they racing?" THEN one fine day I understood why the race took place. It was because the hairs on those caribou necks were being tickled by the instinctual knowledge of a fire raging not too far away, and most certainly headed this way. Humans often get the same feeling...like an oddly warm breeze malevolently fueled by the maddening flames behind it. 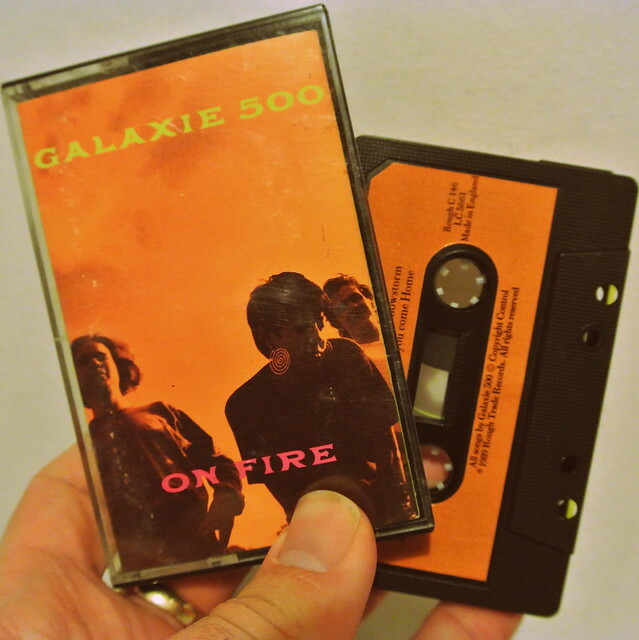 Come ride the fiery breeze of GALAXIE 500! We made that record so easily! I'm not even sure there were any second takes. It's one of the easiest records I ever made. Making On Fire was a very happy experience. I think we were at a point where we were accomplished enough musicians that we were able to play what we had in our head. There was a generally optimistic feeling about the direction of the band and we were getting attention from the critics. It was a lot of fun and the possibilities seemed endless, something that I feel I was very lucky to experience. A very joyful, youthful moment. On Fire inhabits an awesome, distorted reality. The band, ostensibly a trio of guitar, bass and drums, sound more like a sun carriage. Damon Krukowski’s cymbals and Dean Wareham’s falsetto become lead instruments. Naomi Yang doesn’t so much play as paint with her bass. These abstract tones and spots of primary colour are the sound of three people locked somewhere in a beautiful space, the midpoint between telepathy and propulsion. From the languorous opening bars of ‘Blue Thunder’ to the euphoric closing refrain of “What a pity, what a pity” the record moves back and forward allowing waves of electricity to swell and break across its ten tracks. Few songs have been more appropriately titled than ‘Snowstorm’ and few bands have been in such graceful control of a maelstrom. Has anyone played a wah-wah with such equine grace as Dean Wareham? Each note in the solo crystallizing the reverie of a snowflake hitting the ground. A US press release dating from August 1989 when Galaxie 500 signed to Rough Trade, suggests the album would be released on 20 October, but as that's a Friday I'll dismiss it. Records in the US are apparently released on a Tuesday - so US release date was possibly the 24 October... so we can party tomorrow as well! Feel free to correct me if you think I'm wrong.